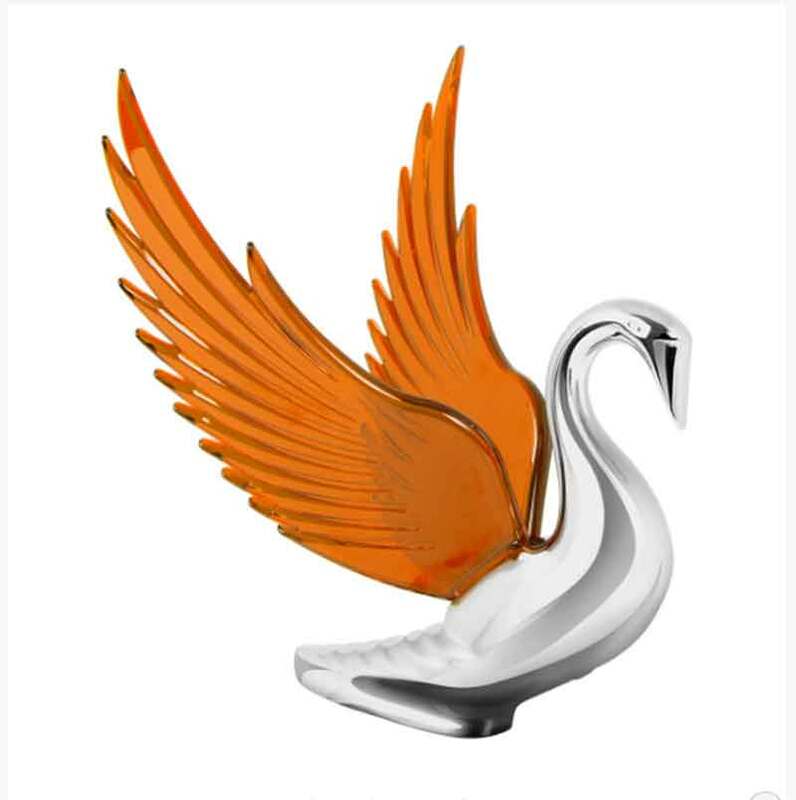 Minimum quantity for "CHROME MASCOT SWAN WITH AMBER WINGS" is 1. CHROME SWAN BUGLER WITH AMBER ILLUMINATED GLOW EFFECT WINGS. 225MM X 190MM.